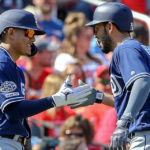 The San Diego Padres affiliates went 5-3 on Wednesday. Allen Craig recorded five hits, including two homers as the Chihuahuas won big on the road in Colorado Springs. Luis Urias went 1-for-4 with three runs scored for El Paso. Walker Locket was on the mound and he went seven solid innings. The big right hander was on his game, as he only allowed six base runners and struck out seven. Brad Wieck, Jonathan Aro and Jose Castillo got the last six outs for the Chihuahuas. El Paso is currently tie with Salt Lake for first place of the PCL Pacific Sothern division. Chris Paddack continues his dominance in Texas as he went 5.2 shutout innings. Miguel Diaz relieved him and the duo earned a combined shutout victory. 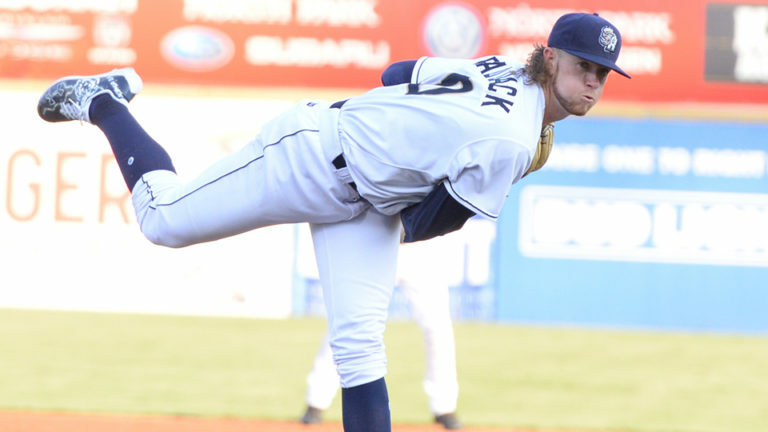 Paddack lowered his ERA to 1.19 on the year with this latest excellent start. Diaz earned the save recording the last 10 outs of the game. 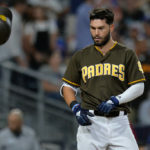 The right hander continues to be used in long stretches, as the Padres leave his future open. The Missions left 18 men on base in the 1-0 victory. They also struck out 15 times in the game. Buddy Reed earned three punchouts himself in the win. San Antonio is 19-13 in the second half of the season and 0.5 games behind the first half champions, Corpus Christi. A football game broke out in Lancaster, as the Storm lost a 17-11 game on Wednesday. The JetHawks scored five runs in the seventh and eighth, inning as the bullpen blew up for the Storm. Daurius Valdez and Blake Rogers each gave up five earned runs. Nick Margevicius started the game and was not effective going only four innings and allowing five earned runs. His ERA is at 5.14 now as the California League is presently getting the better of him. Expect improvement from this lefty. Offensively, the team scored 11 runs on 19 hits. Luis Torrens and Edward Olivares each had four hits. Hudson Potts recorded three and Ruddy Giron, Jorge Ona and Nate Easley each recorded two hits a piece. Rod Boykin went 0-for-6 and struck out five times in the game. There will be better days for the Lake Elsinore. 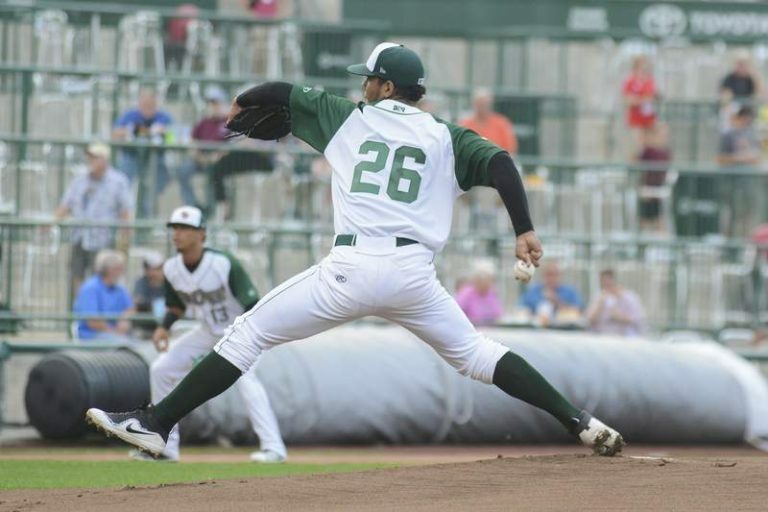 Luis Patino and his leg kick are exciting to watch. 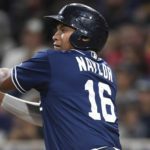 This right handed pitcher will be a fast riser in the system, as he has the moxie required to be a major league pitcher. He has a very high ceiling. Patino got plenty of offense, as Fort Wayne knocked out 15 hits and 12 runs in a shellacking of the Dragons. Nick Feight had three hits in the game and five other players recorded two hits a piece. Esteury Ruiz did go 0-for-5 in the victory, so not everyone had a great day. The TinCaps have now won two in a row. Sam Keating was roughed up on Wednesday, as he allowed seven earned runs and his ERA ballooned to 6.23 on the year. Owen Miller and Olivier Basabe recorded two hits each in the loss. Basabe is hitting .324 on the year and has been playing a great second base. Tri-City struck out 12 times on the night and left 11 men on base. 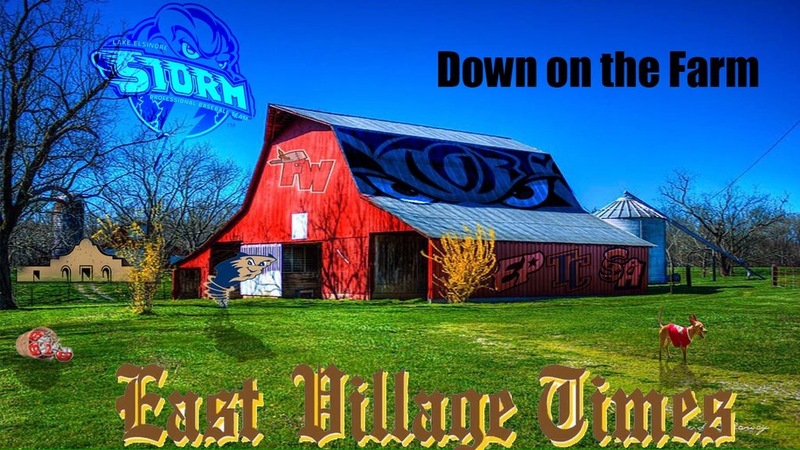 The Dust Devils have now lost three in a row and six out of their last eight games. The AZL Padres 1 team was squaring off against the other Padres squad on Wednesday. 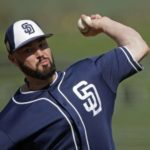 Kyle Lloyd was in Arizona on a rehab outing from El Paso and went three innings for the AZL Padres. He struck out seven and scattered two hits in his outing. Lee Solomon was the offensive hero as he slugged two homers on the night. The one in the first inning off Ryan Weathers was especially impressive. Nick Gatewood got the start at first and smashed two doubles in a three-hit night and Xavier Edwards went 2-for-4 with a triple and three runs scored for AZL 1. The debut for Ryan Weathers did not go well, but at least the event is over. He did not make it out of the first as he gave up four runs in 0.1 innings pitched. 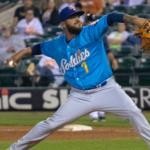 Hansel Rodriguez made another successful rehab appearance as he threw a scoreless inning. The AZL Padres 2 team struck out 12 times in the game. 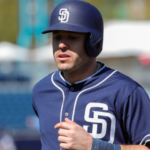 Jordy Barley stole a base and Sean Guilbe smashed a triple for the AZL Padres 2 team. 17-year-old, Mexican left-handed pitcher Manuel Partida continues his dominance. We have been telling you about this kid for months. He is now 2-2 on the year with a 1.99 ERA in 10 games and 46 innings pitched. It is time for him to pitch in the States. Expect an Arizona showing as long as his paperwork is in order. Catcher/DH Brandon Valenzuela recorded two hits and Adrian Antunez had a three-run triple for the Padres DSL squad. 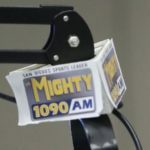 We have some special inside information on this team and the facility that will be trickling out in the next few weeks. EVT was lucky enough to visit the facility in the Dominican Republic. Next Should the Padres Aggressively Pursue Chris Archer? Hey James, good job, as usual. Do you know what the innings limit might be for Paddack, and how close he might be? Also, do you have any inside info (or speculation) on any possible promotions (e.g. Potts)? I would assume Paddack is getting close… I don’t see any major promotions at this point, the club is very secretive about that kind of stuff.